A gorgeous 11 ctw. 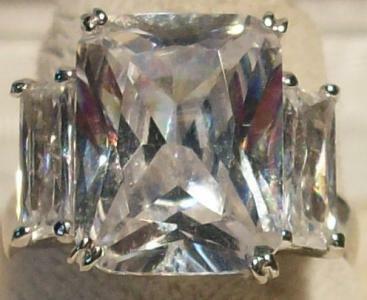 rectangular cut cz ring. 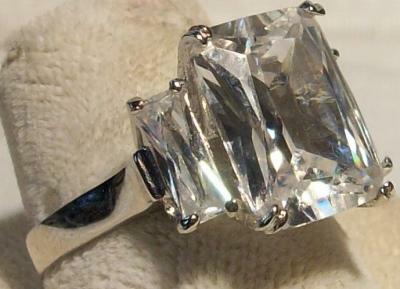 The center stone is 9 carats flanked on either side by two 1 ct. baguettes....all set in sterling. 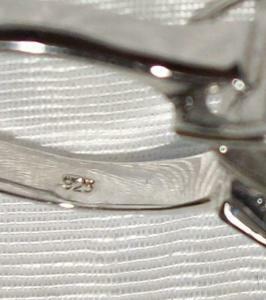 Stamped 925. Size 7. 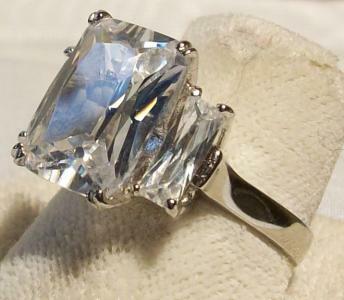 The 3 stones measure 5/8" across and the center stone is over 1/2"high. Wow!